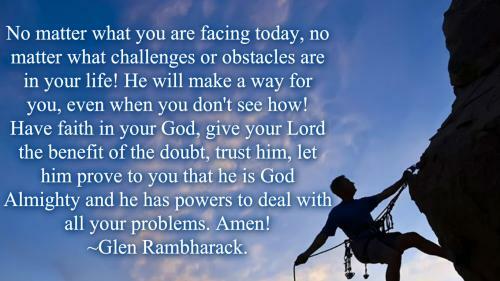 No matter what you are facing today, no matter what challenges or obstacles are in your life! He will make a way for you, even when you don't see how! Have faith in your God, give your Lord the benefit of the doubt, trust him, let him prove to you that he is God almighty and he has powers to deal with all your problems. Amen! Those who keep Jesus in their heart will never need to look far when they need him. Never underestimate the power of prayer, positive energy and love. The love of Christ is indescribable. Just trust and believe that He is the truth and the Light and you shall see His Glory. Faith is the evidence of things not seen but yet still having providence of a positive mind, that you can conquer all things through Christ Jesus that strengthens you. There is MORE POWER in one word from GOD than all the power of ENEMIES Combined! A powerful Christian is one who faith does not stand in the wisdom of men, but believes in the power of God. 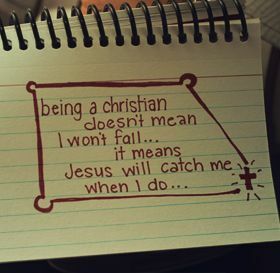 A Christian believes in Jesus and his existence. Powerful Christian testimonies are really inspiring and encouraging. Christians share their experiences of healing, deliverance, salvation, deliverance, miracles etc. All that transpired because of their faith in Jesus Christ. A powerful Christian truly believes and has utmost faith in the teachings of Bible. 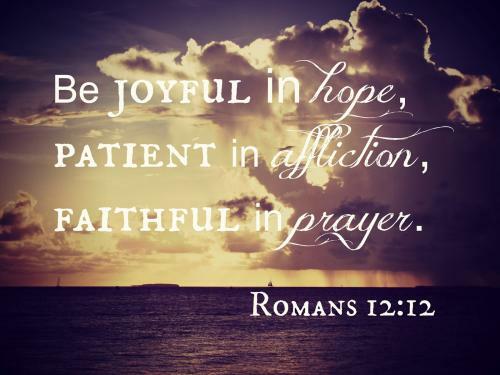 A powerful Christian keeps calm and maintains his faith even in trying and testing times. By staying focused and keeping calm when facing adversities, Christians believe in accumulating good fortune which helps them to steer their way through adversities. Powerful Christian testimonies and experiences can prove to be of great help and can give you immense faith and restore your belief in Christ. Powerful Christian testimonies state that prosperity is the blessing of the Old Testament, adversity is the blessing of the new.